Stocks closed higher Thursday amid a mixed bag of news from central banks around the globe. The Dow Jones Industrial Average, the S&P 500 and the Nasdaq closed up between 0.2% and 0.4%, after spending much of the day on either side of breakeven. Japan's central bank started the day with an announcement that it would expand its stimulus program in an effort to breathe life into the country's flagging economy. The news was welcomed by investors. Japan's Nikkei reversed early losses and closed 2.2% higher, the yen weakened against the dollar, and the yield on Japanese 10-year notes fell to their lowest level since 2003. Next up: the Bank of England left rates at 0.5% and maintained its asset purchasing program. And finally, the European Central Bank also kept rates steady at 0.75%. "Central banks, central banks, central banks. That's what people are watching," said Paul Powers, head of trading at Raymond James. "Japan delivered, but the ECB fell flat." ECB president Mario Draghi's comments were seen as leaving the door open to further stimulus but investors were disappointed that the central bank didn't do more in the face of weakening economic trends in the eurozone. Federal Reserve vice chair Janet Yellen is delivering a speech at 5 p.m. ET at a Society of American Business Editors and Writers conference in Washington. Weak U.S. economic data: The Labor Department said that initial jobless claims rose to 385,000 last week. That's more than the 345,000 analysts had expected and comes one day ahead of the government's closely watched monthly jobs report. Economists expect 192,000 jobs to have been added in March, according to Briefing.com. Major stock movers: Shares of Best Buy (BBY) surged 16%, after the retailer announced that it will feature boutique stores that sell Samsung products at more than 1,400 U.S. locations. 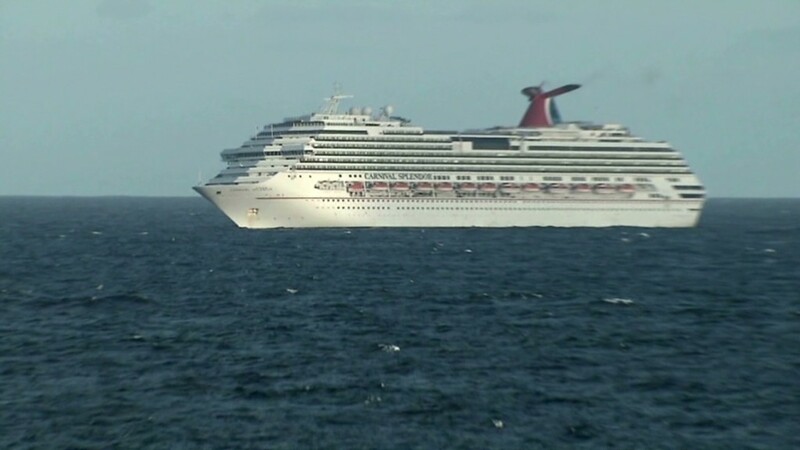 Shares of Carnival Corp. (CCL) slumped 1.5%, a day after the troubled cruise liner's Triumph broke free of its dock in Mobile, Ala.
Facebook (FB) unveiled Facebook Home, a new Android smartphone interface at an event. Shares of the social network rose 3%. European markets closed down between 0.7% and 1.2%. Exchanges in Hong Kong and Shanghai were closed for a holiday. The dollar lost ground against the euro and the British pound. Gold prices dipped. Oil prices declined for the second day in a row, dropping 1% on a combination of factors: a large inventory build-up and signs of weakness in the global economy. 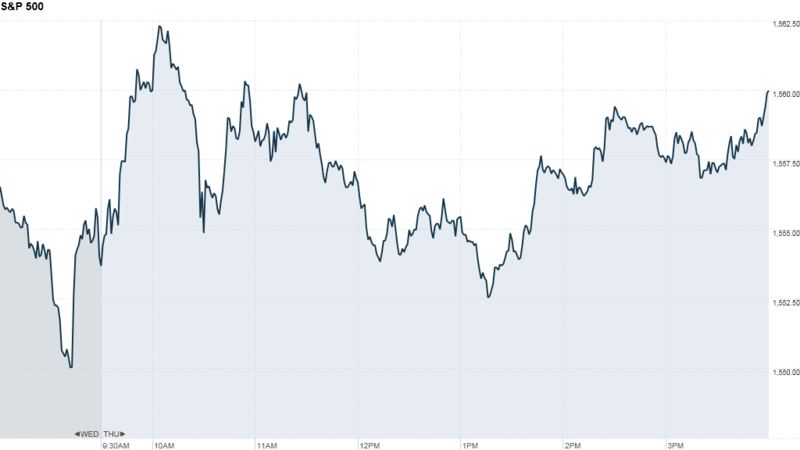 The price on the 10-year Treasury yield rose, pushing the yield down to 1.78% from 1.81% late Wednesday.